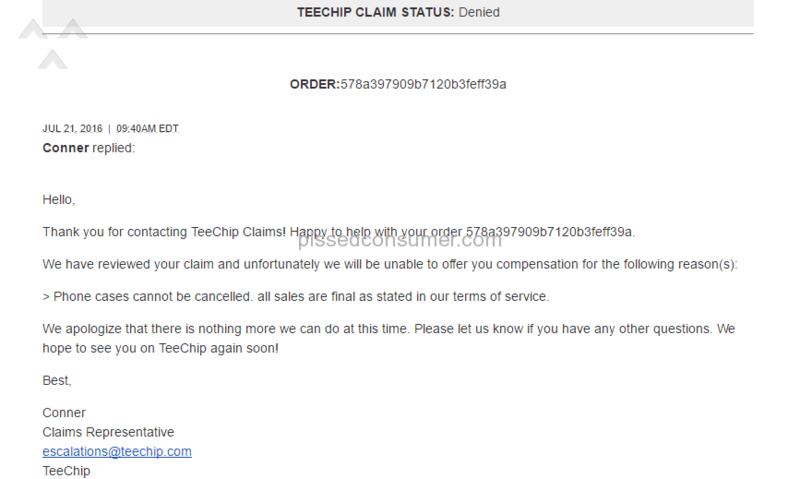 TeeChip - Took my money and refused to give it back! TeeChip - POORIEST QUALITY EVER!!!! 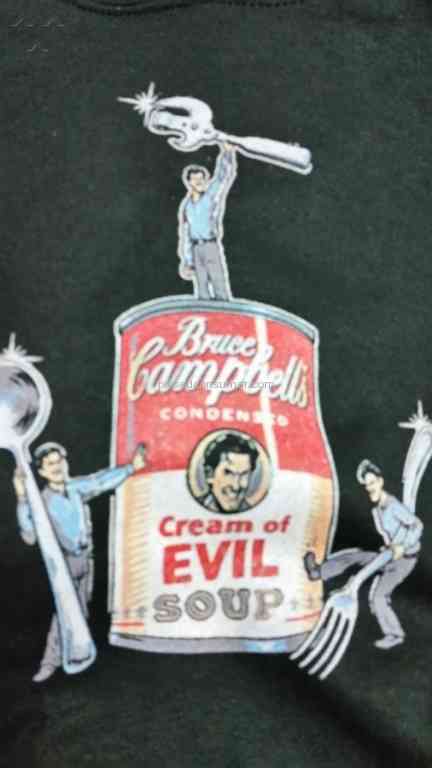 I received my Bruce Campbell Cream of Evil sweatshirt and it's by far the WORST piece of clothing I've ever purchased in my life!!! 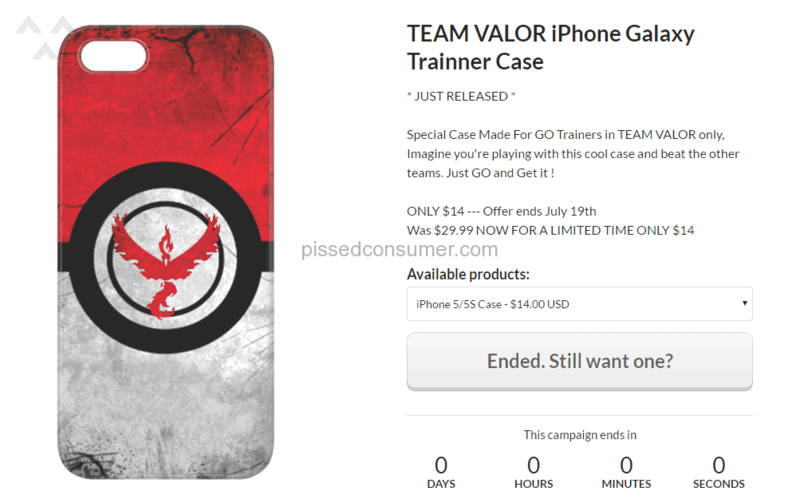 Graphics are extremely blurry and colors are so faded... And their customer service is an absolute JOKE!!!!! 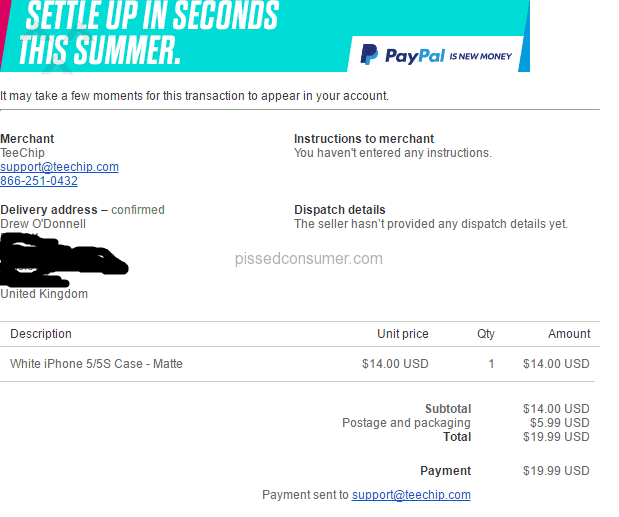 I have tried contacting them several times by e-mail and phone... I never get any e-mail responses until I call and wait to get through to someone after waiting at least 30 minutes minimum every time I call! 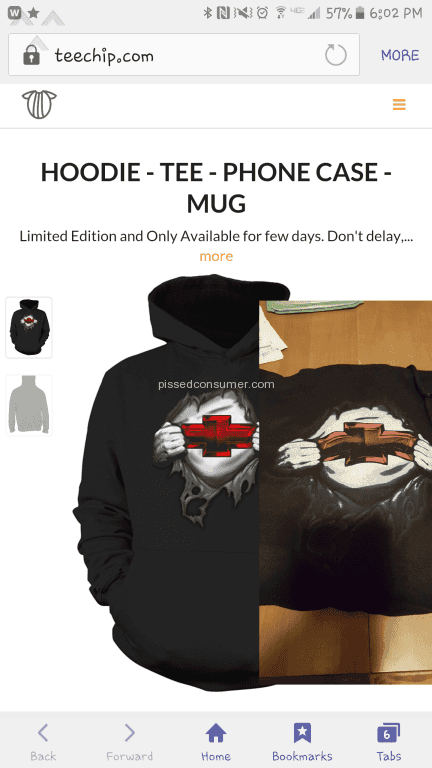 They have offered to send me another sweatshirt, but refuse to give me a refund! 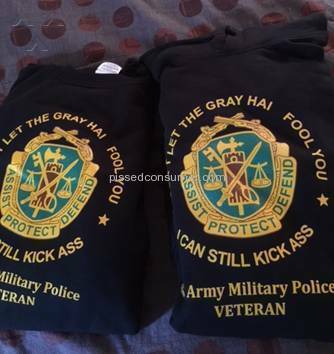 I will gladly send the P.O.S sweatshirt back to them... It's maybe something I would wear out to my barn to do chores, but that's about it! BUYER BEWARE... DO NOT ORDER from Teechip!!! Save your money and order from a better and reputable company!